As state legislators rush to impose a public school takeover bill on Milwaukee, people are starting to look more closely at the schools Republicans are labeling “in need of takeover.” And they should. 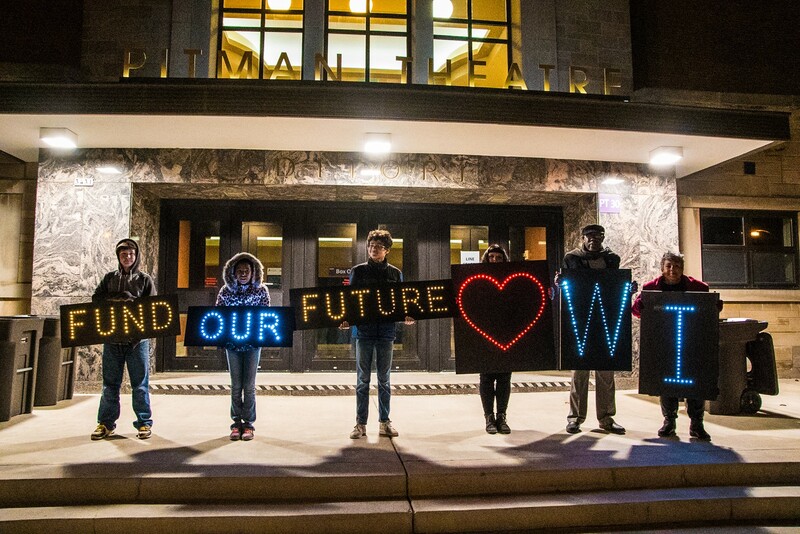 For example: Auer Avenue School, where hundreds of supporters made a human chain yesterday to defend ALL public schools in Milwaukee, was quickly attacked by Rep. Kooyenga and Sen. Darling for its test scores. Test scores are the canary in the coalmine at Auer Avenue and dozens of schools like Auer. 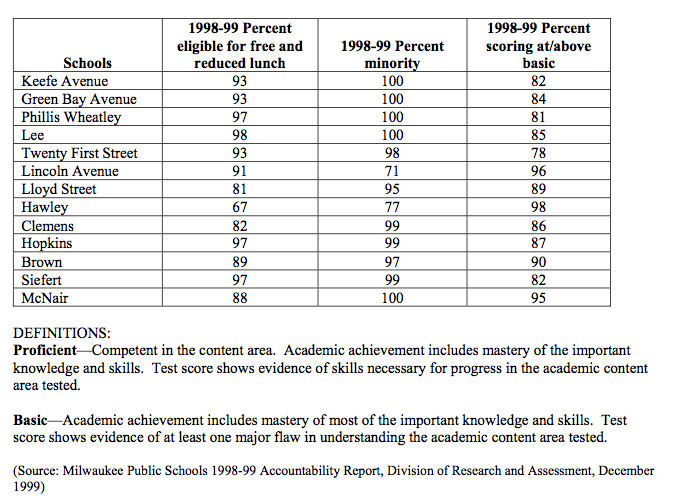 Fifteen years ago, Auer Avenue was a “90-90-90 school” – shorthand for high poverty, highly segregated, and high achieving. At that time, Auer Avenue had the resources needed to employ a full team of professional educators to meet the needs of their students – a critical piece of the puzzle for student success in neighborhoods with high poverty and unemployment. At that time, Auer and other high-performing, high-poverty schools were fully staffed with librarians, guidance counselors, full-time reading specialists, art, music and physical education specialists, program implementers, technology teachers, paraprofessionals, special education teachers, nurses, social workers, psychologists, speech pathologists, and classroom teachers with small classes that allowed them to provide plenty of individual attention to children. What changed? 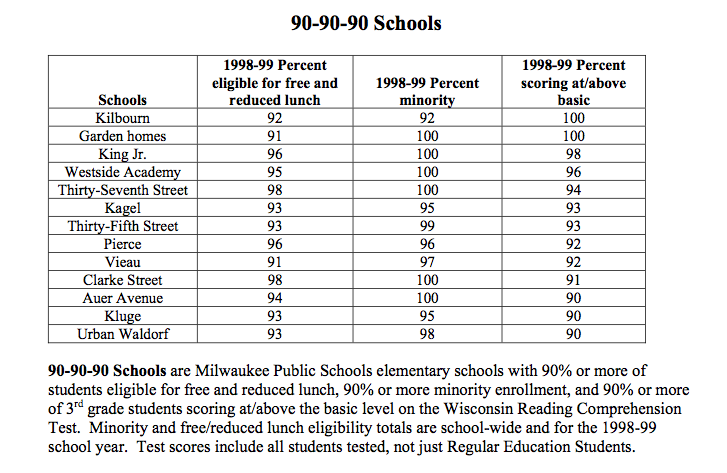 Fifteen years ago, the voucher program was just hitting its stride in Milwaukee. A 15-year streak of defunding public schools – exacerbated by an inequitable state funding system – was just getting started. 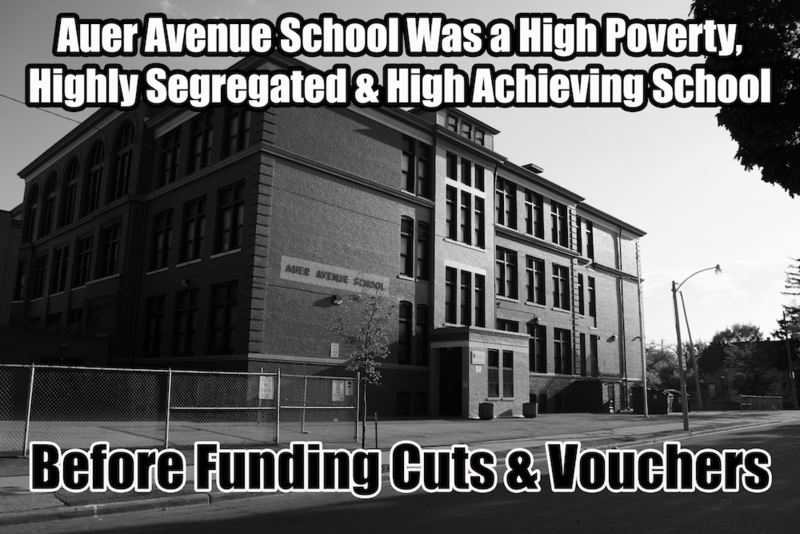 Since then, over a billion dollars has been siphoned away from the children at Auer Avenue and other MPS schools, and funneled into unaccountable, under-performing voucher schools. Governor Walker put the nail in the coffin in 2011 when he made the largest cut to public schools in Wisconsin history – over a billion in total, with a tens of millions in cuts to MPS. There is clear evidence that when students living in poverty are prioritized and invested in, with the rich resources necessary to provide students true educational opportunity, their academic achievement thrives. When these supports are withdrawn, student achievement declines. We know what must be done to increase academic achievement for students in poverty. The people of Wisconsin have the political will to do so, and we expect state legislators to listen. It’s time to acknowledge that vouchers and funding cuts have failed our students, and return to fully funded and vibrant community public schools.